The term "neurodiversity," first popularized by the autism community, challenges the pathologization of neurological deviation from socially constructed notions of "neurotypicality." Another branch of "neurodiversity" discourse challenges the abstraction of the ideas of "mind" and "mental" states, using tools of empirical neuroscience to dismantle binary divides between "brainhood" and "embodiment." Psychiatry now grapples with the implicit Western cultural "typicality" embedded in medical frameworks. In the humanities, the study and teaching of literature and the arts is experiencing revitalization through interrogation of traditional conceptions of cognition and consciousness, along with humanistic exploration of questions raised by neuroscientific experimentation. Through Friday keynotes, panels, an evening film screening and Saturday interactive workshops, we invite participants to engage with five central areas of concern. 9:30-11:00 Panel: Brainhood, Self-Concepts, and the Perils of Neuroconformity with Catherine Reilly, Nima Bassiri, and Deborah Jenson. Nima Bassiri, "Conduct Disorders in the 19th Century"
Catherine Reilly, "Cruel Translation: Psychoanalysis and Worlding." Deborah Jenson, "Flaubert’s Brain: Epilepsy, Mimesis, and Injured-Self Narrative"
11:15-12:45 Richard C. Keller, "World Mental Health Twenty Years Later: The Impact and Limitations of a UN Report"
The UN’s World Mental Health, published in 1999, established mental illness as a global health crisis for the first time. This talk examines the impact of that report, and places it in the context of the disciplinary history of ethnopsychiatry, a field that gradually emerged over the course of the twentieth century as transcultural psychiatrists came to grapple with their colonial heritage and the ethical dilemmas of practice in a postcolonial context. 3:15-4:45 Ralph Savarese, "’The Body Is A Big Sagacity’: Reading Leslie Marmon Silko’s Ceremony with Autist Jamie Burke." Jamie Burke learned to speak through innovative occupational therapy at age thirteen. At Syracuse University, he minored in Native American Studies, studying the tribes of the Haudenosaunee Confederacy. Jamie and the author spent several months discussing Leslie Marmon Silko’s novel Ceremony, in which a mixed-race veteran returns from combat to the Laguna Pueblo reservation in a state of traumatized dysfunction. Jamie’s familiarity with Native American culture and his talents as a "spatial visualizer" helped to illuminate the novel’s spiritual geography, which has often perplexed readers. Exploring a new emphasis in the scientific literature on motor impairments in autism—both their wide-ranging repercussions and potential amelioration—the chapter juxtaposes Jamie’s improbable journey to speech with the protagonist’s improbable journey to wholeness through ceremonial movement. A Native understanding of health as relation (to land, community, past and one’s own body) is foregrounded. 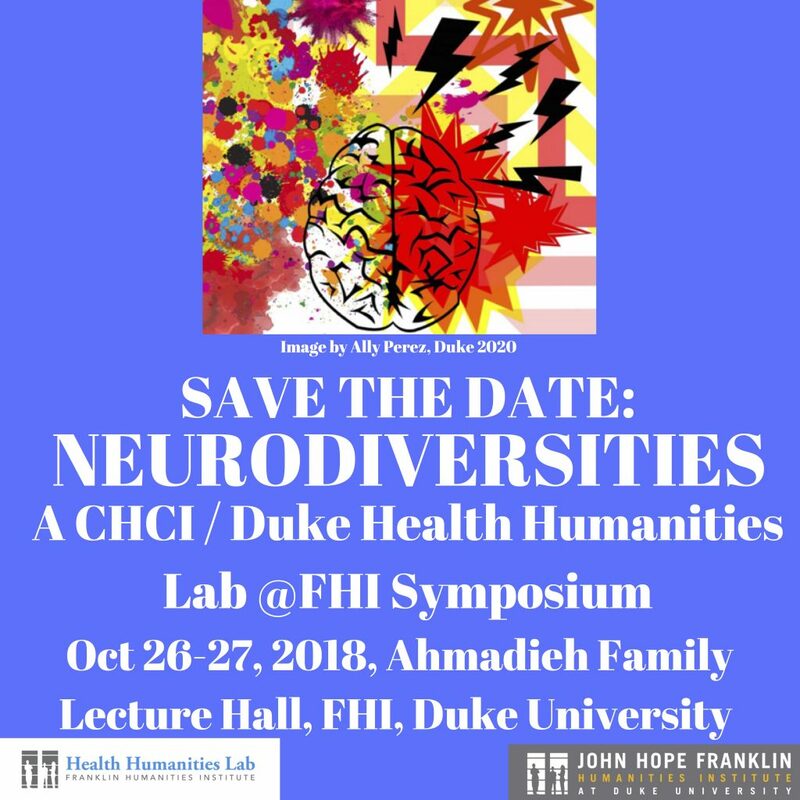 Campus health, disability scholars/advocates, and neurodiversity leaders guide faculty, students, and community members on how to work proactively with structures and initiatives to assess and shore up student resiliency, forestall or manage crises, and make a home in universities for neurodiversities. The interactive guidance provided here on Duke infrastructure including CAPS, DukeReach, the Student Wellness Center, the Duke Disability Alliance, and Narrative Medicine Mondays will provide insights on how to locate similar resources on other campuses, or to ally and advocate for needed initiatives. Student stress and vulnerability to crisis is rising nationally. How can we develop a pedagogy of resiliency to complement Freire’s "education as the practice of freedom"?